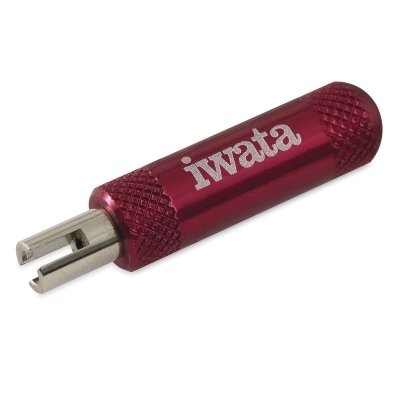 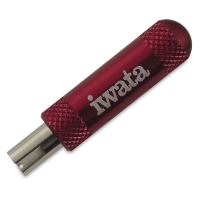 Remove or tighten a screw-on airbrush nozzle without damage using the Iwata Nozzle Wrench. Its design prevents over-tightening, so you won't strip the nozzle. 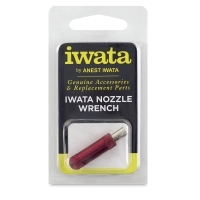 The tip of the wrench also holds the nozzle when it's removed from the airbrush, making it easier to realign and screw it back onto the airbrush. The wrench fits all Iwata and Neo series airbrushes (except the Iwata Eclipse Series and the Neo TRN2 Side Feed Trigger Airbrush).